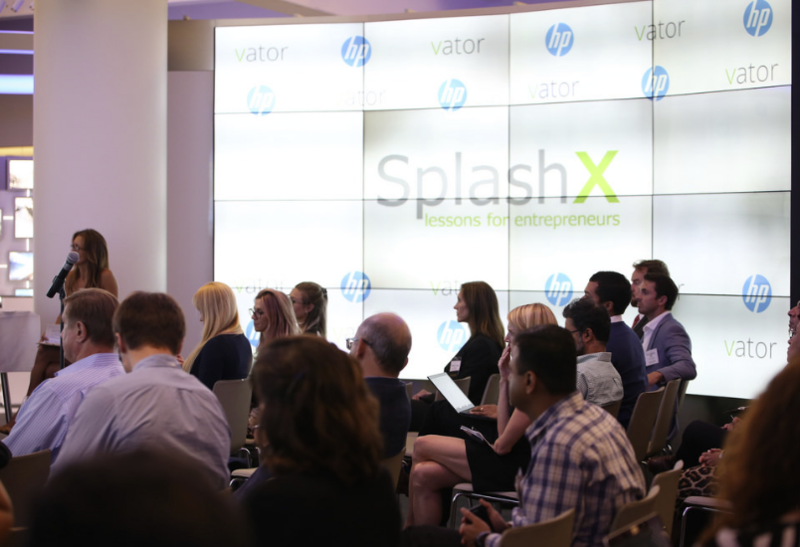 On December 13, HP and Vator are hosting our next quarterly salon at HP headquarters in Palo Alto. This time, we're focused on vitality, which is defined as "energy, zest, verve and exuberance." Why vitality? We wanted a word that encapsulated our ability to take control of our life through our behavior and good habits. We're calling our event -- Vitality: Lifestyle as a drug. It's a play on software as a drug (meaning digital therapeutics as an alternative to drugs). It's a reminder that healthy lifestyles can be more effective than drugs because the benefits of such lifestyles, as the word implies, are habitual, routine behaviors. These recurring activities turn out to be associated with positive long-term benefits. Compare this to drugs, which are considered short-term, addictive fixes, with potentially insidious consequences. They may create positive feedback loops because they alleviate the symptoms. But drinking more alcohol to alleviate a hangover creates a positive feedback loop too. So we should look to our behaviors first. There's nothing more confident-boosting and adrenaline-lifting than feeling healthy and energized naturally vs via medications. To be sure, in some acute cases, it's imperative. Additionally, lifestyle changes require a support group - family, friends, caregivers - who are not just present, but have the understanding and resources to give such care to encourage that behavior change. Fortunately, there is a growing awareness that such knowledge is needed. This has to do with a confluence of factors, including a growing backlash against medications (possibly due to the opioid epidemic, partly fueled by pharmaceutical companies push for wide-scale adoption), studies showing that something as innocuous as aspirin can lead to bleeding or higher chances of heart attacks, and a growing awareness that a lot of our clinical health problems (mind and body) have to do with stress and poor behavioral habits. It's no wonder that the prescription inclusive in all treatments is to make behavioral changes around dropping bad habits and adopting better ones, such as eating a healthy diet, exercising and getting enough sleep. For example, in the case of anxiety and depression, people have been able to drop below clinical levels "merely because they started to sleep on a predictable schedule and eat breakfast," writes Jordan Peterson, author and clinical psychologist. In the case of people at risk for Type 2 diabetes, many studies showed that lifestyle interventions -- good exercise, diet, sleep - showed a decrease in the risk for diabetes from the end of intervention up to 10 yrs after. In some cases, people are off medications in 70 days as the diabetes is reversed. All this is good news. This is why we want to focus on lifestyle interventions and other non-invasive ways we can help our bodies heal or stay healthy. As always, I'll try to find some interesting articles across the web that speak to this topic and big digital health news in general, ahead of our Dec. 13 event. Want to join us? We have limited tickets available as this is mostly curated. But if interested, please join us here. Google just hired David Feinberg, former Geisinger CEO. 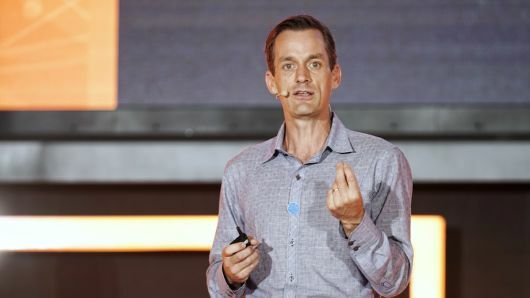 His job will be to organize Google's disparate AI and healthcare units, such as Verily, Google Brain, Nest and Google Home, according to reports. What does this have to do with lifestyle as a prescription for health? A ton. It clearly shows that Google knows the current $3 trillion healthcare ecosystem is broken. And it's going to figure out how to shake things up. Don't be surprised if they get into businesses that promote lifestyle medicine, wellness and behavioral-modification programs. It's unclear which of the three - sleep, nutrition, exercise - is the most important, but sleep appears to be pretty significant. For instance, you can survive by eating cheeseburgers and fries and not exercising, but you can't get through life without sleep. So let's touch on sleep. Here's why it's important, according to The National Heart Blood and Lung Institute. "Sleep plays an important role in your physical health. For example, sleep is involved in healing and repair of your heart and blood vessels. Ongoing sleep deficiency is linked to an increased risk of heart disease, kidney disease, high blood pressure, diabetes, and stroke. Sleep deficiency also increases the risk of obesity. There's also lost productivity. One study showed that "sleep disturbances cause fatigue-related productivity losses estimated at $1,967 per employee, per annum." It's also a big business, expected to be nearly $77 billion in 2019 -- though nearly half of that amount goes toward mattresses and pillows, and sleep-apnea devices are about $23 billion of the market. One of the biggest sleep companies is Casper, which makes mattresses. It started in 2014 and has raised $239 billion from VCs such as Norwest Venture Partners, NEA and IVP. And there's a bunch of apps - but clearly based on the numbers above, the jury is still out whether these apps and programs work. Apple bought a sleep app called Beddit in the spring of 2017, though it's been reported that Beddit may have been shut down. And Hello, which made a sleep sensing ball, launched in 2014, raised $40 million but flamed out quickly, shutting down last year. Still the fact that Apple made an acquisition in this space suggests Apple sees value in this market. VCs are still pouring money into these companies and some will get it right. Thrive Global and Big Health, maker of Sleepio, are chugging along. I just took a sleep test on Sleepio. 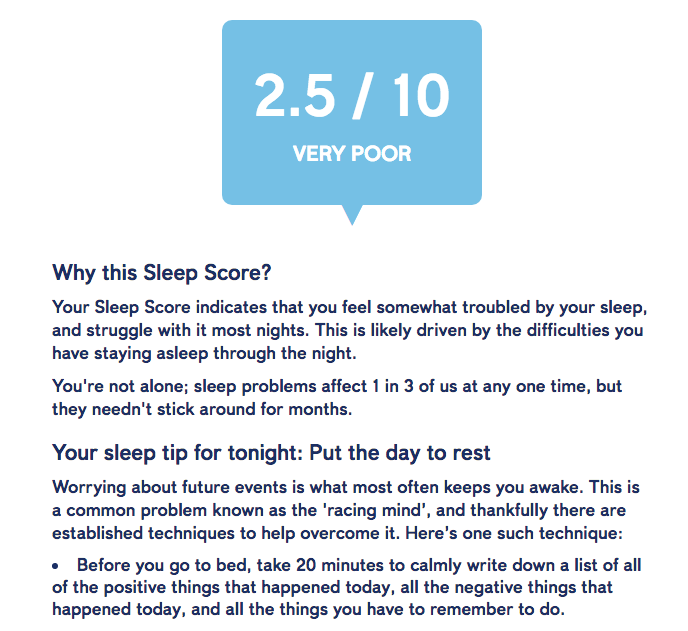 It showed I had a "poor" sleep score of 2.5 out of 10! Yikes. I was given some tips (as you can see in the image), and they definitely were helpful. But how we measure that improvement is one question I'll be focused on. It's up in the air, particularly for sleep trackers. In one study, written up in Medical News Today, doctors followed 50 people around for two weeks. The study showed little relationship between how the person thought they slept vs what trackers said. "Your sleep tracker might show you that it measured a good night's sleep, but you could still wake up feeling groggy. Whether we can use the tracker's data to convince ourselves that our sleep was better than we thought is a question that our team would like to see answered in the future," according to the post. Another big factor in sustaining good habit is social determinants -- the positive and amazing privileges many have, but take for granted. What exactly does this mean? Here's a good description: "Health starts in our homes, schools, workplaces, neighborhoods, and communities. We know that taking care of ourselves by eating well and staying active, not smoking, getting the recommended immunizations and screening tests, and seeing a doctor when we are sick all influence our health. 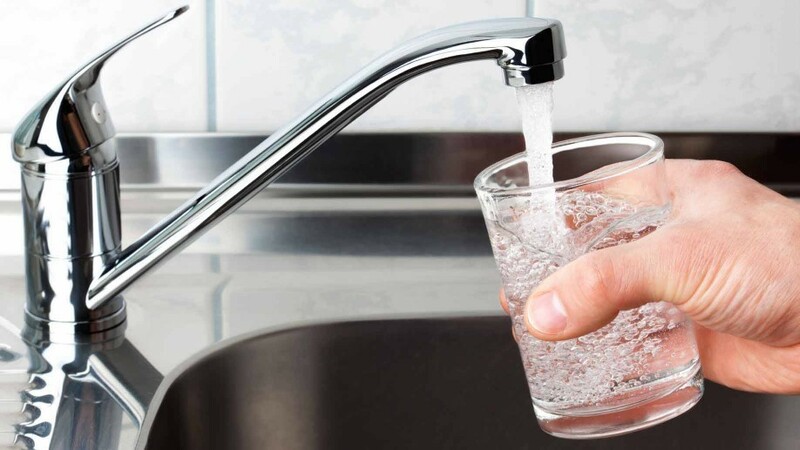 Our health is also determined in part by access to social and economic opportunities; the resources and supports available in our homes, neighborhoods, and communities; the quality of our schooling; the safety of our workplaces; the cleanliness of our water, food, and air; and the nature of our social interactions and relationships. The conditions in which we live explain in part why some Americans are healthier than others and why Americans more generally are not as healthy as they could be." Safe housing; Access to education and quality of education; Access to health services; Socioeconomic conditions; Exposure to crime, violence; Social norms, attitudes and culture. This list above is solid. But it doesn't include family infrastructure - parenting and upbringing, which is, I believe a significant driver in the behavior and well-being in children. It's a lot easier to stay healthy in the Bay Area, where many people pride themselves on the number of triathlons or races they've accomplished. But in other less affluent areas, where clean water and healthy food aren't so prevalent, and where parents have little free time for themselves, much less work out -- it's not so easy. 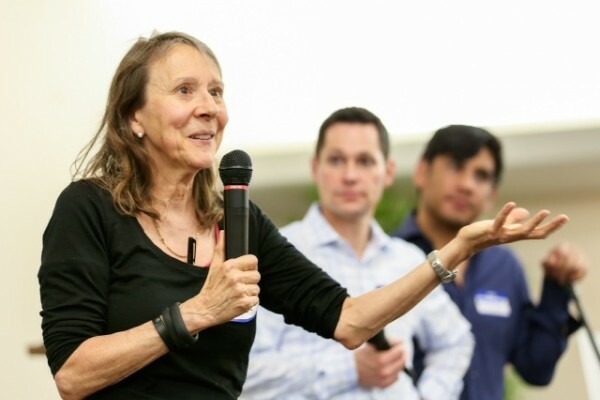 Esther Dyson is on a mission to help five cities become healthier. But it's become less about providing flu shots, medications, etc. and more about changing culture - in other words - behavior. And it's become more about changing the environment. It's about helping families and communities embrace the right long-term mindset. It’s about helping kids learn about patience and the desire to see a future and to work toward it.